Try the routine that gets your bum clean. Stay stocked up and make every day refreshingly clean using Amazon Subscribe & Save. If the people in your lives still only use dry toilet paper, it’s time to share with them Cottonelle Flushable Cleansing Cloths with CleanRipple texture. Use our toilet paper followed by Cottonelle Fresh Care* Flushable Moist Wipes and discover that CleanRipple texture removes more. 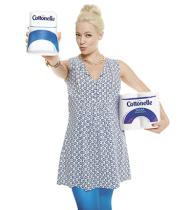 Get hooked on everyday freshness with Cottonelle Wipes. Already moist and ready to revitalize, the flushable cleansing cloths provide an enhanced everyday clean and contain aloe and vitamin E. And with a upright dispenser, the wipes can fit right in with your bathroom décor. For the shower-fresh feeling that can follow you through your busy day, turn to Fresh Care* Flushable Cleansing Cloths. 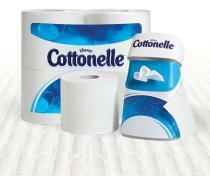 Cottonelle wants to make sure your family never has an emergency when you run out of toilet paper or moist wipes in the bathroom. Save 15% using Amazon’s Subscribe & Save, including free shipping. The program also lets you set up routine delivery of Cottonelle Toilet Paper and Fresh Care* Flushable Cleansing Cloths. Have the power to update or cancel an order at any time. Keep your home stocked with toilet paper and wipes featuring CleanRipple texture to remove more.